RPAS 2019 – Annual European Civil RPAS Regulation Implementation & U-Space Integration Forum » UAV DACH e.V. 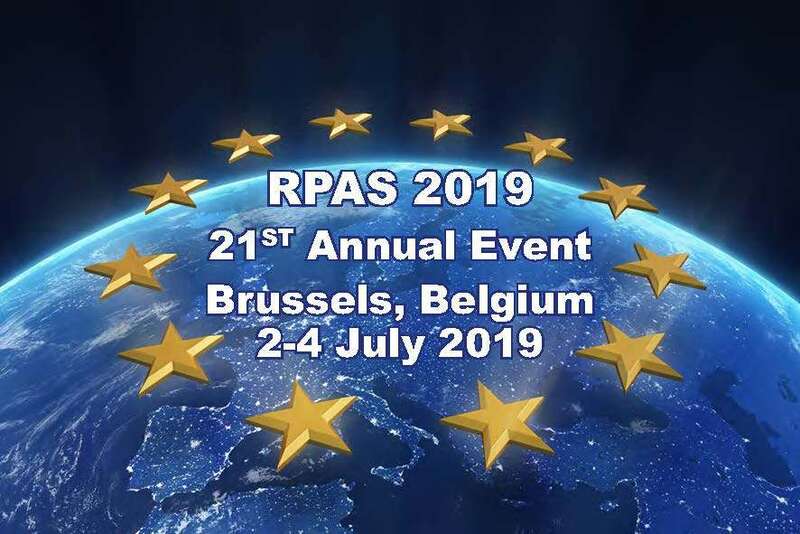 RPA S 2019 is an international conference focusing on civil RPAS operations. In the context of the upcoming European RPAS regulation and its implementation, and in anticipation of the required integration of U-Space & ATM, it will address current & future drone operations (commercial & noncommercial), U-Space capability demonstrations, UTM/U-Space airspace integration matters, standard operational scenarios, operational experience (commercial & non-commercial), operator qualification, pilot training & qualification, test range safety rules, data protection & privacy. Create awareness of national approaches on relevant drone-related matters and stakeholder initiatives. Promote coordination & cooperation between national civil drone communities. Address topics of common interest that are to be dealt with by industry on a national level. Representatives (public & private) of national civil drone communities will give updates on their activities. A focus will be put on the harmonization of national approaches to matters of critical importance to the current & future RPAS operator community. Inter-activity and networking are central at this event. UAV DACH: Beitrag im Original auf https://www.uasvision.com/2019/03/21/rpas-2019-annual-european-civil-rpas-regulation-implementation-u-space-integration-forum/, mit freundlicher Genehmigung von UAS Vision automatisch importiert. Der Beitrag gibt nicht unbedingt die Meinung oder Position des UAV DACH e.V. wieder. Das Original ist in englischer Sprache.